Home How Do I Get Rid of Players in Low Stakes Games? In the world of poker, everybody starts somewhere. If it isn’t in the “free chip” games on Zynga or the different online poker sites, it is in low buy-in games online ($.01/$.02 cash games or cheap tournaments) or cheaper live events ($1/$2 live cash games, up to $100 tournaments). Wherever you might go, you will always hear a certain refrain from players that are sitting on the rail. The answer? You really can’t and you really don’t want to. Yes, it is quite maddening to sit around and wait for that big pocket pair – Kings, Queens, Aces, it doesn’t matter – play it aggressively and get snapped off in the manner explained above. But let’s first look at some of the action and perhaps see if there were some warning signs that might have led you down another path of action. Raising pre-flop normally is an indicator that you have a good starting hand and, in this circumstance, there isn’t one better than pocket Aces. If you’re in middle position (as the above player was), then if another player before and/or on the button calls you, you can pretty much give them credence for another pair or a nice big Ace (A-K, A-Q, sometimes A-J). The blinds are where the situation gets a bit hairy, however. In the past, players in the blinds would have normally laid their hands down, deeming it not a wise investment to call off so much money and then play the hand out of position. In today’s game, though, defense of the blinds is at a premium even in the low stakes games. The reason for this is threefold. If a blind player only has to call a small amount to see the flop, then it is worthwhile for them to take a look and see what happens. The second reason is that, by defending the blinds, the blind player puts the nugget in their opponent’s brain (for future thought) that they aren’t just going to roll over and let them steal their blinds. Finally, there are the cases that, by calling out of the blinds, the player is looking for just the right flop to be able to make off with a big pot and, if it doesn’t come, then they can get away with no more expenditure. Now let’s look at it from the numbers perspective. For the small blind, they’re facing a $9 call (five times the big blind of $2) if they want to continue with the hand. Even in a heads-up situation, they don’t have to be right all the time to make it a potentially profitable move, especially with the implied value down the road. In our above case, the player flopped two pair and, if they’re confident the player who raised has a big pair, now the small blind is in position to take a massive pot. A simple call on the flop sets them up for making a move should everything work right on the turn and river and the corresponding bet sizes will bring a big chunk of chips to their stack. Even for the big blind, it is an $8 call (into what will be a $30 pre-flop pot after his call) and, by coming along, they too can make that same big score. In our example, the big blind flopped an open ended straight draw to go along with his one over card (a “false out” with the pocket Aces in play, but he doesn’t know that). It isn’t out of the question for that player to look to hit a sneaky straight and, in the right circumstance, make out like a bandit when the straight comes home. The reality is that poker players want these types of players in their games. As maddening as it is to have those Aces cracked, most of the time (77%, to be exact, in our above example) the Aces are going to win the hand against the meager holdings of the blinds. 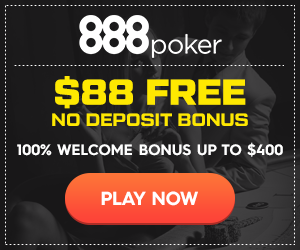 That is nearly the same rate as pocket Aces going against any other pocket pair heads up (81% to 19%) and, with an additional player putting in cash, can be more lucrative when the Aces hold. The thing that players must do is be wary of those callers. Anyone can call pre-flop with anything, but if they continue after that with simple calls or raises, it is time to start putting together (along with what the board is saying) a roster of hands your opponents could be holding. There is also that point where, if a board is very coordinated, that those Aces or Kings might have to hit the muck on the turn rather than continuing to chase a beaten hand. Rather than bemoan the actions of players in the smaller games, why not embrace them? Encourage them to stay in the game and subconsciously encourage them to make those same moves against you. As you can see from the statistics above, a sizeable majority of the time you’re going to come out a winner…and then it is for your opponents to tell the tale of woe. Everything you said is correct, but it’s not just about the games you play now. It’s bigger than that. You will see really bad or crazy players wherever you play. What kind if players enter the Main Event. The answer is every kind. There are pretty good amateurs, pros trying to take it down, and really bad players that show up just because playing the Main Event is on their bucket list. If you can’t figure out how to play against unpredictable players now, it will haunt you wherever you play, however good you think you are, whatever level you play at, for the rest of your poker life. Sounds like the typical arrogant player who thinks he knows better than anyone else how to bet (& win) because he has read all the books that tell you when and how much to bet. Did you ever think that cranking up the initial bet to 5 times the blinds is a bit too much? In my experience raising that much pre-flop is often an indication of someone who has nothing or a low pair and is just trying to steal the pot. I’d be a lot more wary of someone who bets 3x’s the blinds, for example. So maybe the idiots aren’t the ones who wanted to see the flop even though they weren’t dealt the best hand. It can be really hard to get rid of sticky players in low stakes games. I mean, it’s not that you really want to, because at the end of the day, they are playing straight into your hands, but it does increase the variance. Well, in every casino you will encounter really bad wherever you play. We could just just enjoy the game right.